Faster and Cheaper Than Promised, And Super Nice! The lock on my 1950s sliding glass door broke, so I called a couple of local places, but they both said they couldn’t repair or replace it. 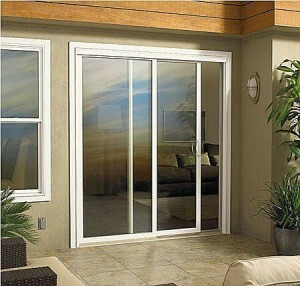 I turned to the internet and luckily found Scott with AAA Superior Sliding Door Repair Specialist. Scott thought he had the part I needed and promised to track it down if necessary. We set up an appointment for ten days later. As luck would have it, before the appointment date, Scott was doing a job down the street and called ahead to ask if he could stop by. As you maybe guessed from the title of this compelling review, Scott showed up, completed the job, and saved me money by fixing my old part rather than installing a new one. On top of that, he showed me how to fix the problem if it ever happens again. As he was leaving, I literally found myself saying, “I wish I had other broken doors so that you could fix them too.” That’s how great Scott is. I highly recommend him. 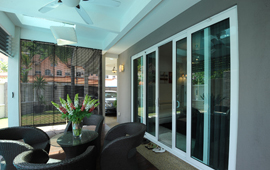 AAA Superior Sliding Door Repair Specialist has been repairing Glass Patio Doors, Wardrobe Doors, Pocket Doors, Tub Enclosures, Shower Doors and has been the source of Locks & hard to find Sliding Door Hardware in the of Claremont for over 18 years. If you live in the city of Claremont and need Sliding Door Repairs for your Glass Patio Doors, Wardrobe Doors, Pocket Doors, Tub Enclosures, Shower Doors or need Locks & hard to find Sliding Door Hardware, Please give us a Call at the phone numbers above.